I am an orthopedic surgeon specializing in hip and knee replacement. I began my journey in the research lab of a high-volume hip and knee replacement institution in Philadelphia, PA. There, I developed a special interest in the field of adult reconstruction and the research tools aiming at measuring the success of these procedures. I have written several book chapters covering different aspects of hip and knee replacement surgery and published more than a dozen peer-reviewed articles presented at scientific meetings. 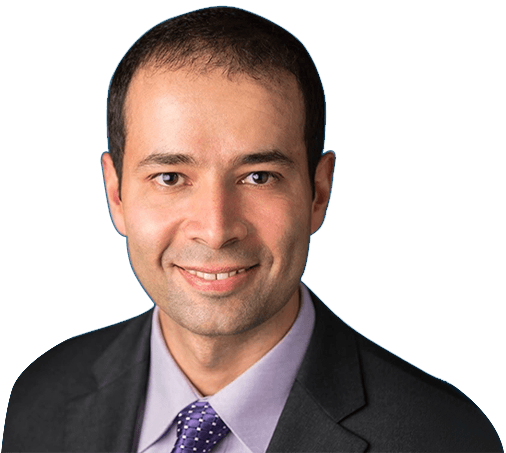 Khalid Azzam, MD is a fellowship-trained orthopaedic surgeon & a hip & knee replacement specialist dedicated to helping people achieve pain-free & active lifestyles. Dr. Azzam has worked in a high-volume hip & knee institution in Philadelphia, PA. He has special interests in adult hip & knee joint reconstructions & development of research tools to measure the success of these procedures. No one wants to see his or her patient in pain, but it's difficult to know how to help. Here are some tips for talking with an aging parent about hip and knee replacements. Sometimes the best treatment an orthopedic surgeon can give a patient doesn't involve a scope, a shot, or a pill. Sometimes it's just a listening ear. Azzam, K.,Siebler, J.,Bergmann, K.,Daccarett, M.,Mormino, M.; J Orthop Trauma. 2013 Dec 24.